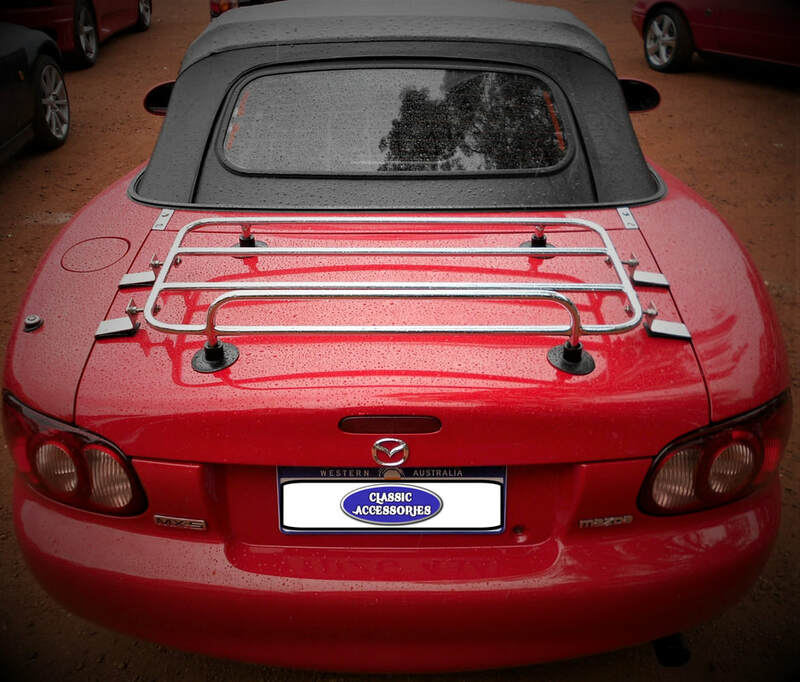 We have a choice of four styles of luggage rack available for the Mazda MX5 NA & NB Soft Top (built between 1989 and 2005 MY). 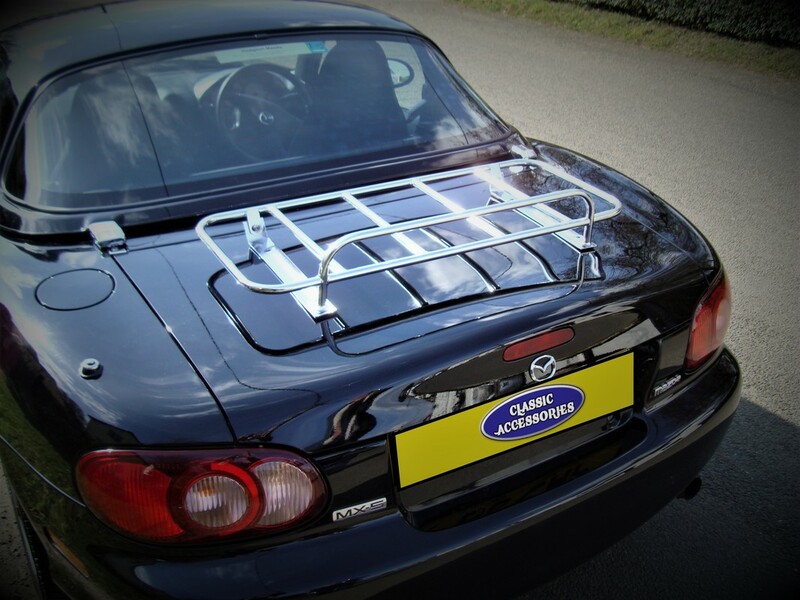 Very high quality temporary (removable) Classic Style luggage rack for the Mazda MX5 NA & NB Soft Top. Premium specification, mirror polished Sports Style boot luggage rack with bespoke fittings suitable for the Mazda MX5 NA & NB Soft Top. ​Polished chrome finish with mirror polished stainless steel support straps and Allen hardware for enhanced security. 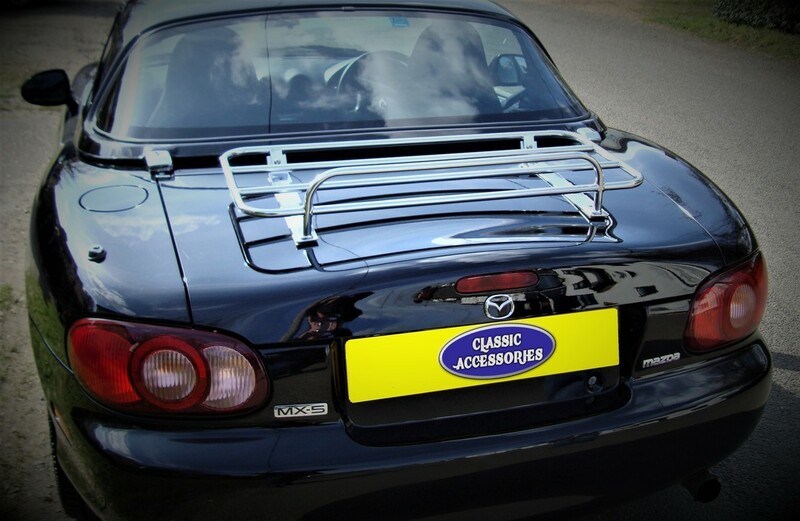 Premium specification Classic Style boot luggage rack with bespoke fittings suitable for the Mazda MX5 NA & NB Soft Top. Economy "UniCarrier" boot luggage rack with four suction pads and two side fittings suitable for boot lids up to 1200 mm wide. Straightforward and very functional practical design.